Children of the Cull by Cavan Scott brings together two characters from the original Afterblight books; namely Si Spurrier’s lead from The Culled and Rebecca Levene’s earnest but bonkers scientist from Kill or Cure, reviewed here. Once again entrenched within a research facility, Jasmine, however, isn’t struggling with her addictions this time. Instead, she’s running experiments and tests on a group of children in what seems, at first, to be compassionate circumstances but soon unravels to reveal a more sinister purpose. Meanwhile, the soldier is staking out the facility in question, observing a series of failed, amateur attacks. He ends up embroiled with the would-be raiders, hiding his true purpose but using their numbers to achieve his end. Much like Kill Or Cure, this novella slowly peels away the veneer to expose the darkness at its heart. Scott does a brilliant job, retaining the voice of Jasmine, the research scientist whose ‘cure’ results in a less than stable mental state. Interspersed by the story of the nameless soldier who is desperately trying to find her, the book brings both together in a blistering conclusion. The action is expertly paced and there are a number of plots at play that make for a truly engaging read. Abaddon Books have produced another, fantastic collection of novellas in their shared-world setting of the Afterblight. 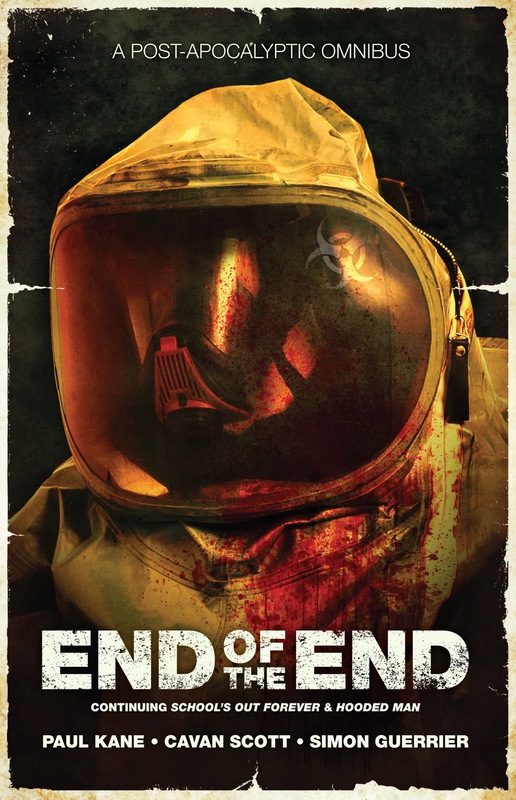 After the awesome Journal of the Plague Year which I reviewed here and here comes End of the End, a collection of stories detailing the post-apocalyptic landscape years after the ‘Cull’. Each story revisits some of the best works in the series, and first up is Fall Out by Simon Guerrier taking up the story begun in Scott K Andrew’s School’s Out. Guerrier lands us solidly into the wild and brutal place that England has become as protagonist Jack Bedford and his companion Jane, travel to Oxford to consult with the new government forming there. Touching on Jack’s past, Fall Out stands squarely between doing what is right and what is politic. In a series of power plays and double blinds, Jack and Jane find themselves coerced into decommissioning a nuclear power station. As the rightful ‘King’ of England, Jack understands he has no choice; cowardice would destroy his place in the emerging society and result in probable death; entering a power station about to go into meltdown is equally fatal. For Jack, the idea of the King is to unite a fractured, warring country; to help restore peace under a common idea. It is about legacy, about the image of a King’s duty but little is as it seems. The journey is fraught and treacherous, and the writing fast paced and action packed. In the end, Fall Out is an exacting test for the young Jack, one that leaves little space for respite. The post- Cull world is a savage place where hope is crushed and defiance strangled, and Fall Out is a brilliant addition to this excellent series. Rehabbing an injury means no ‘simulated fights to the death’ (or Brazilian Jiu Jitsu to give it its real name) for me. But, that means more reading and Mash Up somehow happened to be neatly tucked in amongst my son’s toys, waiting to be read. Daryl Gregory’s Begone is a mash up of ideas and themes that strikes at any family man’s heart. To be replaced, not just divorced, but ousted and superseded by another person playing the role of you in your own family is an awful thought. Tinged with echoes of the TV show Bewitched and painted with the emotional turmoil of a man desperate to reclaim his home, his place in the world and most importantly his daughter, this short story is equally amusing yet provoking. A wonderful blend of the fantastical and the very real. The Red Menace by Lavie Tidhar is a compact story that reimagines history through the eyes of a man caught up in events of huge importance. Taking its emphasis from Marx and Engle’s The Communist Manifesto, Tidhar’s story is one that traces the line between the bizarre and the wonderful. The threat of communism means something quite different in this alternative timeline. Teleportation gateways and alien technologies abound, transforming the political landscape of the era. War ensues but one in which Nazi and Allied forces are combined against the Soviet power. Yet, amongst all this it is the personal journey of one man, his choices and losses which says so much, imbuing the story with real heart. “It was a dark and stormy night” – a line I’ve heard many a time and seen appropriated for many a story. I didn’t know it came from Paul Clifford written by Edward Bulwer-Lytton. Here, it’s used by Nancy Kress to kick off a tale entitled Writer’s Block, one which flows from the mundane to the murderous and into the realm of the magical in short fashion. A wealthy would-be writer is unable to find his muse. His wife just wants his money and has few qualms about getting it. Enter, stage left, a unique character who bestows a strange gift to the flailing author. A wonderful piece of writing Writer’s Block is thoroughly enjoyable. Taking the opening line of the bible, Tad Williams’ Every Fuzzy Beast of the Earth, Every Pink Fowl of the Air, is excellent. This is my first time reading Tad Williams but the story reminded me of Terry Pratchett or Douglas Adams. Ludicrous, fun, humorous yet never cliche or silly. A great little idea brilliantly executed. 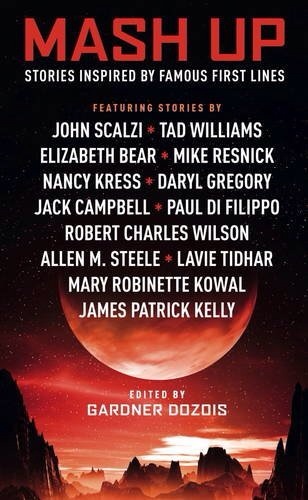 There’s definitely a lot more great stories in this anthology. Using the ‘first line’ prompt has clearly produced some inventive work, it’s such a fecund idea. Reading pile and time allowed, I’ll keep this collection handy for a quick fix of awesome. Book reviews had to take a back seat for a while as life conspired to get in the way of reading. However, an annoying injury (thanks to my other hobby – grappling) has seen me with a bit more free time recently. It’s been filled with an awesome zombie serialised story as well as MudMan by James A Hunter. Levi, the eponymous “MudMan” is a golem made of clay, mud and the dead souls of countless murdered Jews. It’s a heavy origin story for an unlikely hero, one who spends his time hunting down and destroying Nazis, killers and supernatural monsters with unadulterated glee. However, it is exactly that murky and horrendous story of his creation which sets Levi on a collision course with a vile, centuries old homicidal maniac intent on resurrecting a god of death. 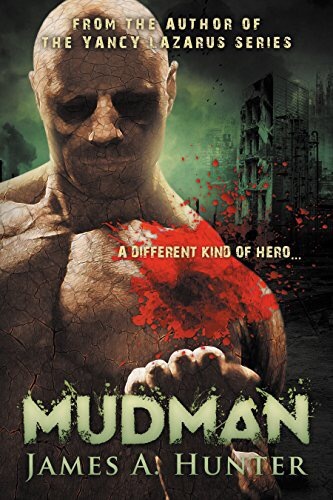 While the blurb reads like a pulp fiction action fest, there’s more to MudMan. It’s a mash of styles and creative ideas, blending religious mythology from Jewish and Christian beliefs alongside Nazi atrocities and supernatural ghouls. The plot is solid and characters, especially Levi, are interestingly detailed. For me, the story did read a little slow (and perhaps that’s my fault for being distracted) but the digressions of the actor’s thought processes sometimes took away from the helter-skelter action driving things forward. 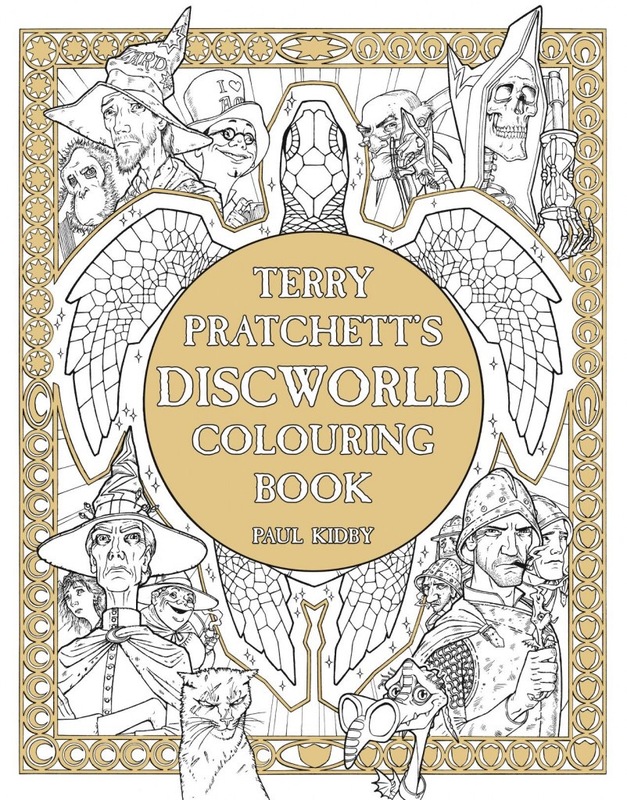 The author has stated in his acknowledgements that this is a one off but the huge, dangling thread at the end of the book deserves his attention as his world building and inventiveness are definitely praise worthy. Published by Shadow Alley Press, Inc.